Heat butter in a pan, add mushroom & saute few mins & keep it aside. Add onion,ginger garlic paste ,tomato & saute few mins. Add all powders one by one & allow to all raw flavours extracts. Add cashew paste ,yohurt & peas. Add sauteed mushroom & mix well. 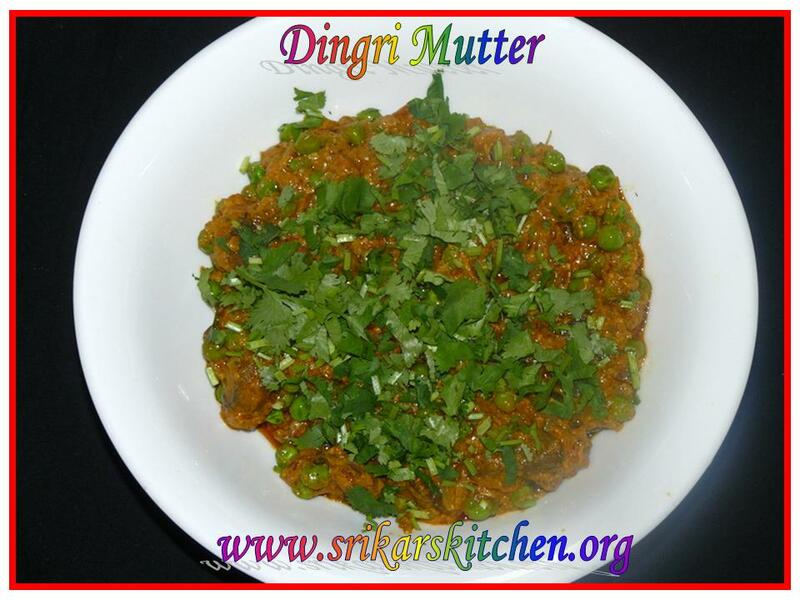 Finish with cilantro & serve with Roti or Rice. Yummy masala, looks fabulous and goes prefect with rotis..
Wow the curry looks very inviting.Goes well with roti.Thanks for sharing. Lovely dish... looks creamy and perfect with rotis. Very delicious and sipcy looking masala. Loved the way you have explained it so simply. 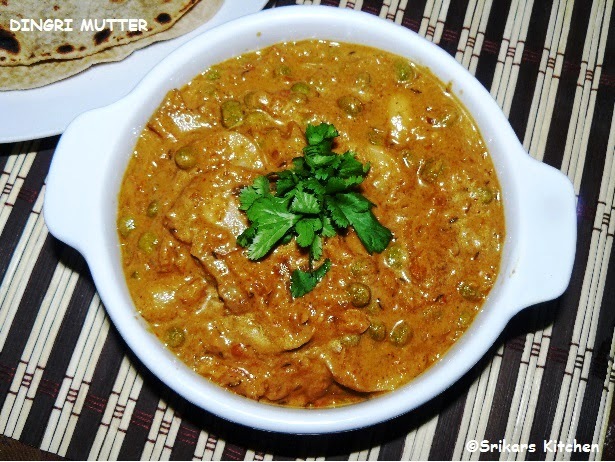 Lovely recipe and appreciate ur illustrative clicks which made easy understanding of the dish. am sure it tastes heaven with that butter and cashew paste .. what a rich gravy .. wud love to try it ..
wow....yummy masala, looks so delicious. hi. The cashew paste must have made the curry rich. Looks good.